Workflow automation, marketing automation, email automation, and then there’s Google’s entry into the smart home space via its recent purchase of Nest, a big step towards what Cisco calls the Internet of Everything. Anywhere you look nowadays, there’s got to be something that’s automated somehow. While not everything can be automated or made more efficient by software, the fact remains that some things are too complex and/or repetitive to tackle manually, and that certain data can be too valuable to be left sitting idle for long with unstructured data. 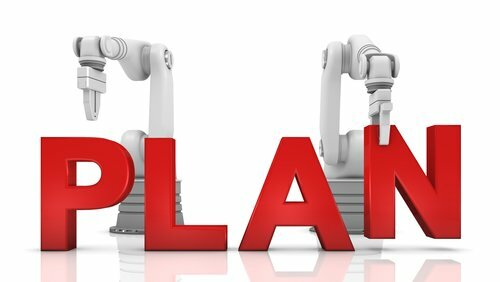 That being the case, one is inclined to ask, can automation add to the already established benefits of project planning? Blueprint. A plan is like a map that guides a project from start to finish. Task accountability. Team members become responsible for tasks assigned to them. Knowing they reap the consequences of failed tasks – conversely, the rewards of successful execution – motivates them to properly define their priorities. Resources. Planning is required so that labor, finance and time resources can be thoroughly considered, including the risk of project delays due to some members working on several projects at the same time. Problem and risk mitigation. Allowance for contingencies should be included in project plans so that if and when they arise, risk mitigation strategies are ready. Employee expertise and skills discovery. During the planning phase, employees who possess certain skills are identified. Also, once tasks are assigned, team members can either train for skills they don’t possess or brush up on those they already have. Project completion. With a clear direction to follow, team members don’t get sidetracked by their own ideas. Strengths and AFIs of past endeavors. When projects are planned, the strengths and weaknesses of previous projects are taken into consideration. Nearly impossible deadlines are common fare for many project managers. Whether it’s upper management being too stubborn to compromise or the deadline simply cannot be moved, like a project that needs to be delivered prior to an election, the fact remains that working with very stiff deadlines is stressful and can severely mar a team’s ability to work productively. Aside from creative planning and careful alternatives analysis, effective communication is imperative when working with stiff deadlines. This way, not only do team members and third-party project participants know the challenge they’re getting into, upper management is also made aware, right at the onset, that the imposed deadline may just be too difficult to beat. Changes to a project’s original scope, whether approved or unapproved, can be inevitable. An example are last-minute additions to an interior design project, like the client requesting for more costly trimmings, a different brand of bathroom tiles or wall paint color, among other things. Careful project planning and documentation can help with scope change management, as well as communicating the requested changes to involved parties, their impacts on deadlines and budgets, the challenges stemming from the changes, including the alternative plans, if the changes are indeed to be carried out. Sometimes, due to simultaneous project deployments within organizations, project managers find themselves short on much needed resources – time, funding and skilled personnel. Upper management should properly prioritize projects so that project managers don’t have to engage in some sort of a tug-of-war for skilled personnel and/or budget allocation. When tasks are assigned to team members based on their availability, their core skill sets may not be in line with what the task requires. One way to mitigate this is through training. If training is not an option, outsourcing some components of the project or hiring temporary staff can help bridge the gap. Desktop project management tools, like Microsoft Project, while built with functionalities like Gantt chart and resource leveling, may not be equipped to support collaboration, especially for geographically dispersed teams. A proven solution is to deploy a web-based project management system that can be accessed anywhere, anytime and without the need for costly on-premise infrastructure. Projects may sometimes include people outside the four walls of an organization – customers, vendor suppliers, outsourcers, subcontractors and other third-party stakeholders. Needless to say, communication gateways shouldn’t get in the way of effective collaboration, like on-premise project management tools normally do because of VPN systems blocking outside communication for security reasons. SaaS-based project management tools should do the trick. It used to be that aside from the necessary analytical and project planning and control skills, a project manager’s toolbox included a calculator and a whiteboard. While the calculator and whiteboard are still unquestionably useful in today’s setting, project planning becomes more efficient with automated project planning. Comindware Project’s Work Breakdown Structure chart allows you to create tasks and activities, and simply drop them where they should be in the plan, efficiently taking care of complex leveling in big projects. And then there’s automated priority-based planning that schedules your projects based on the task assignments and priorities you define. Just drag and drop entries, and your plan will be automatically calculated.